Three main departments of the Guangzhou Development District (GDD) related to the business environment were recently inaugurated. 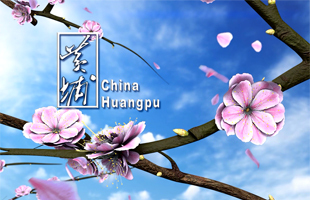 They are the Business Environment Reform Bureau, the Private Economy and Enterprise Services Bureau, and the Huangpu district Government Affairs Data Administration (GDD Administrative Examination and Approval Authority), the first institutions to be unveiled since the district's reform was fully launched. The Business Environment Reform Bureau (BERB) of the GDD is the first department in Guangdong province and in the four mega-cities of Beijing, Shanghai, Guangzhou, Shenzhen that's directly named after the business environment. The BERB will be responsible for optimizing the business environment, organizing, guiding and coordinating the delegation of power reform, streamline administration and optimize government services and for the administrative examination and approval system, conduct of construction, research, analysis, and evaluation of the business environment index system, and guiding and promoting the ISO9001 quality management of government departments and public institutions across the district. Last October, Huangpu district and the GDD successively launched three major business environment reform and innovation brands, namely, the administrative examination and approval reform brand, the intellectual property rights reform brand, and the policy fulfillment brand. Last June, Huangpu district and the GDD were approved as Guangdong's first business environment reform and innovation experimental zone. 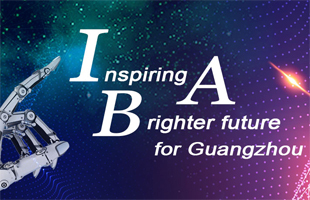 Huang Jiao'e, director of the BERB, said that it will set the highest and best benchmarks to improve the district's new business environment at a higher starting point and level and with a higher goal, and continue to lead business environment reform and innovation in the whole province and the country. At present, there are more than 20,000 private enterprises and small and medium-sized enterprises (SMEs) in the area. Over 80 percent of industrial and high-tech enterprises above designated size are private and SMEs, and over 80 percent of enterprises with authorized invention patents, technological innovation, and new products are private and SMEs. The private economy has clearly been the main engine and growth pole of the district's economic and social growth. Private SMEs have been galvanized by the launch of the Private Economy and Enterprise Services Bureau (PEESB0) which was renamed from the former GDD Enterprise Construction and Services Bureau. The bureau will pay more attention to the pain points, difficulties, and impediments as enterprises prepare for establishment, give further play to the policy advantage of "trust preparation", effectively solve problems in the process, and clear up obstacles preventing enterprises from going into production quickly. 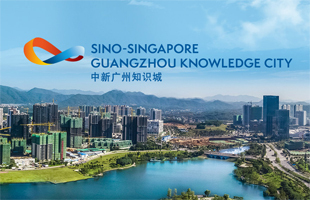 "We will provide a unique quality service to help enterprises prepare for establishment," said bureau director Dai Xinxiang, adding that the bureau will create a new 24-hour service mode of "relevant departments available to enterprises", develop APPs about their preparation for establishment, use information technology to realize digital government-enterprise interaction, and grasp the difficulties and demands inherent in the entire preparatory process. The PEESB will also further the preparatory work for establishment of private enterprises, open a "green channel" for temporary water and electricity, advance transportation of construction materials and provision of temporary construction permits and supply other key components of the project construction process. It will continue to improve the service mechanism of "special acceptance, joint acceptance", and accelerate project construction, speeding up the completion and launch of more high-quality enterprise projects. Its goal is to fully stimulate the new momentum of private economic development. In addition, the Huangpu district Government Affairs Service Data Administration (GASDA) was newly established on the basis of the former government administration office. It is responsible for pilot reform of centralized examination and approval, innovation of government affairs services, and construction of "digital government". The GASDA will further polish the reform brands such as "settle once and for all as you please", "promise system for trust examination and approval" and "customized examination and approval service"; accelerate the rollout of the second list of government affairs services for "immediate approval", take the lead in trying out "intelligent approval", create "nearby handling" and "full-weather" government affairs service and continuously improve its quality and level; accelerate the construction and application of electronic licensing systems, vigorously promote "fully online processing", deepen the overall management of informatization projects throughout the district, and boost sharing of government data. "We want to share the data in the hands of the government and give full play to its application," said Zheng Weizhong, the new director of the GASDA, adding that the administration will not only provide data according to the actual demands of enterprises. For example, when an enterprise invests in a plant and needs geospatial information on the area as a reference, the administration will publish related data. The administration will also assist companies to a reasonable extent in obtaining data that they do not already have access to, which will reduce the cost of doing business. On top of that, the administration will strive to break barriers to data banks other than those operated by government departments to increase the integrity of data access and improve regulatory service efficiency.